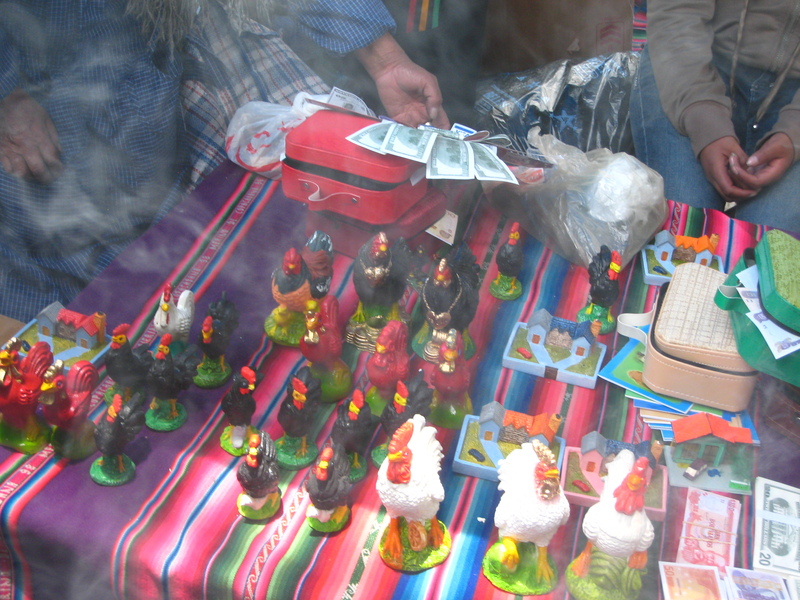 With its roots in ancient Aymará traditions, the annual Alasitas festival was originally held in September (Bolivian springtime) in order for farmers to ensure a bountiful harvest. 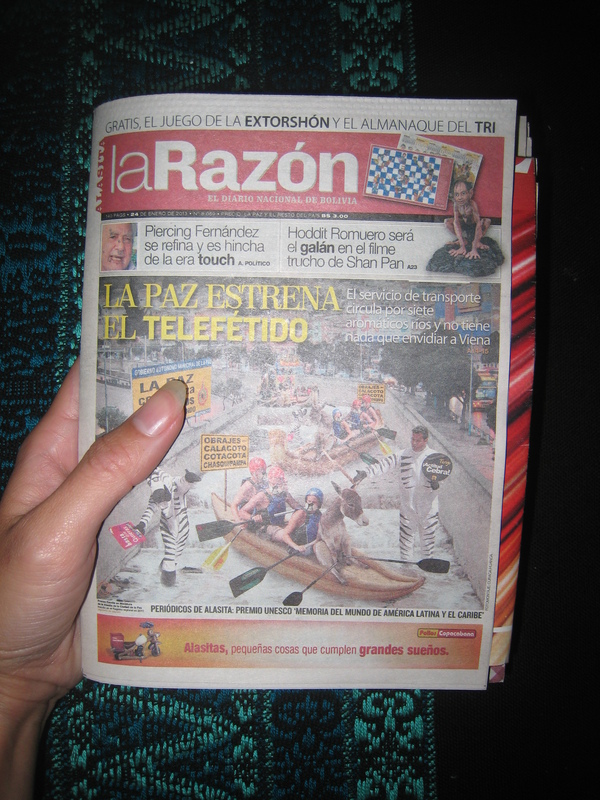 Nowadays, the festival begins on January 24th and runs for three weeks or so. 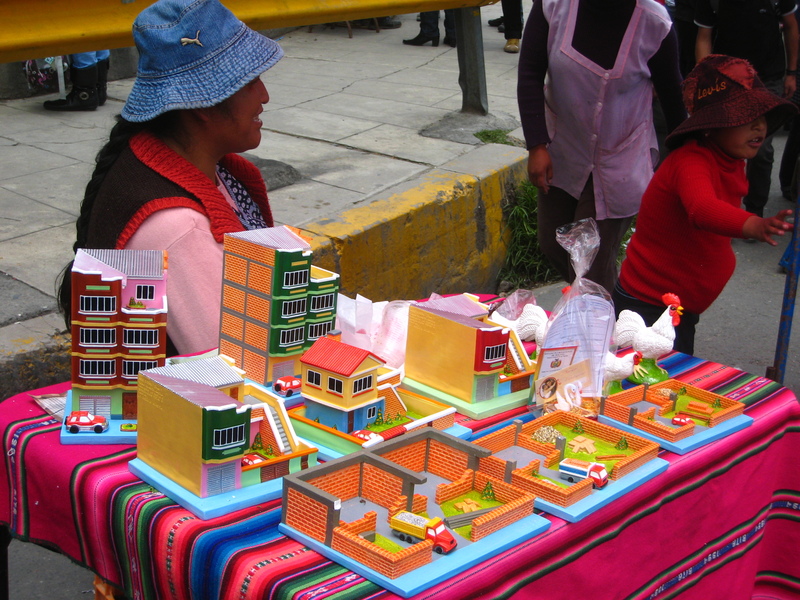 Alasitas means `buy from me` in Aymará, and is celebrated with a huge fair in La Paz where everyone buys miniature representations of their wishes and aspirations for the coming year. 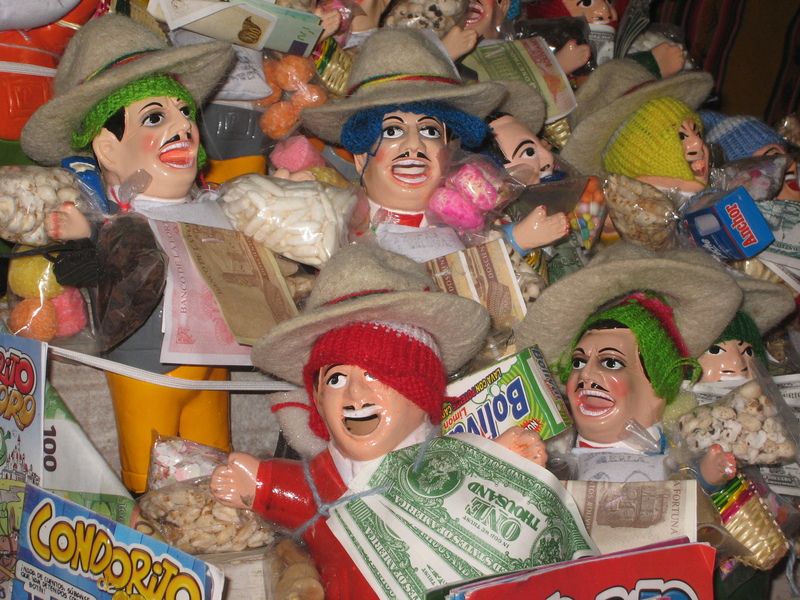 These items are offered to Ekeko (`dwarf` in Aymará) who is the household God of abundance. 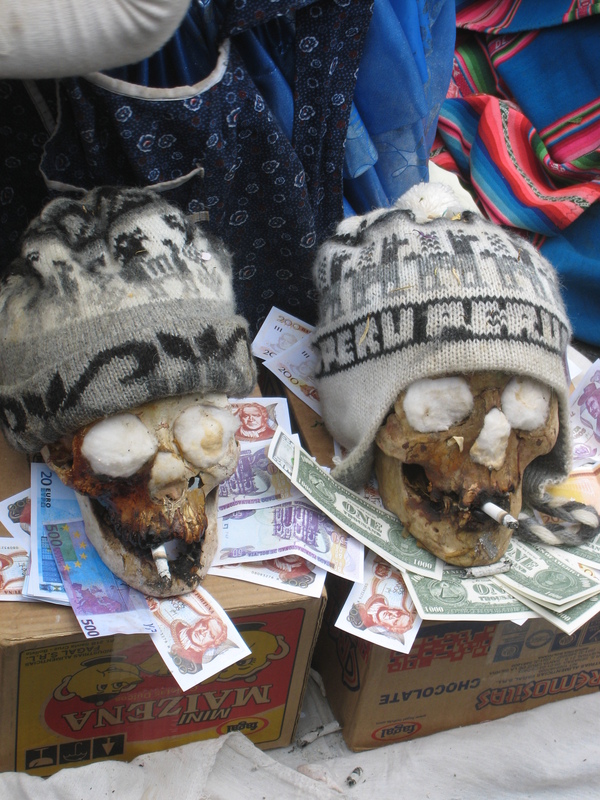 Statues of the diminutive, rosy-cheeked, mustachioed Ekeko are laden with offerings of money, alcohol and cigarettes to keep him satisfied and benevolent. 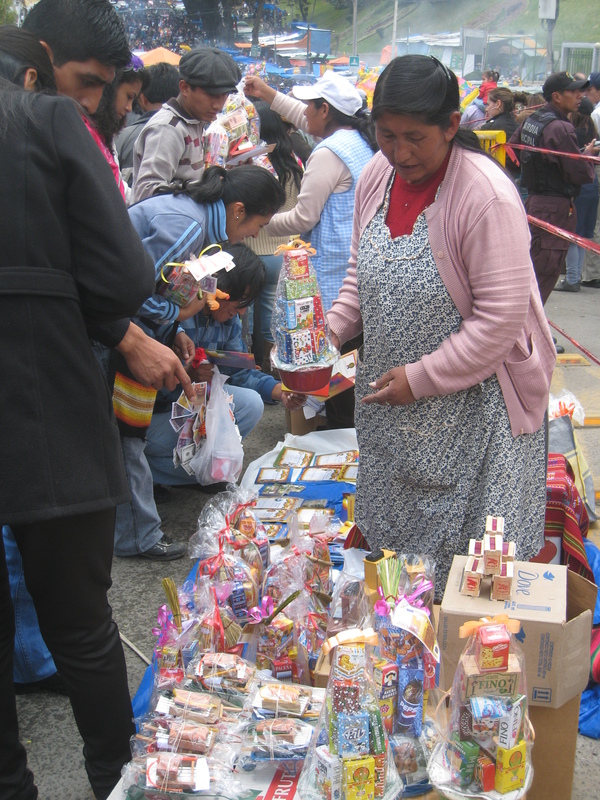 Typically, Bolivians rush to the crowded fair at noon on the first day of the festival, clamouring to make their purchases and to have them blessed by a yatiri (witch doctor). 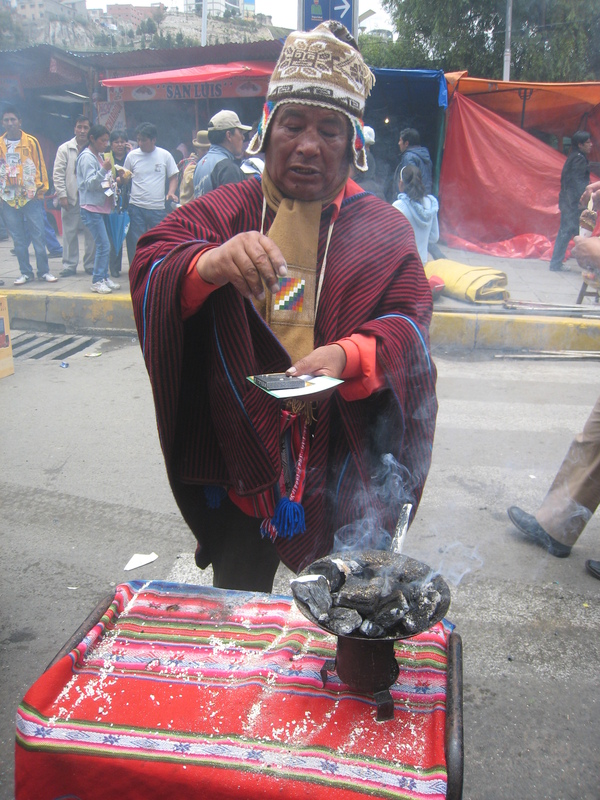 The blessings are a mystical, aromatic affair, with much murmuring and the spilling of alcohol and scattering of flower petals, amidst billowing clouds of incense. 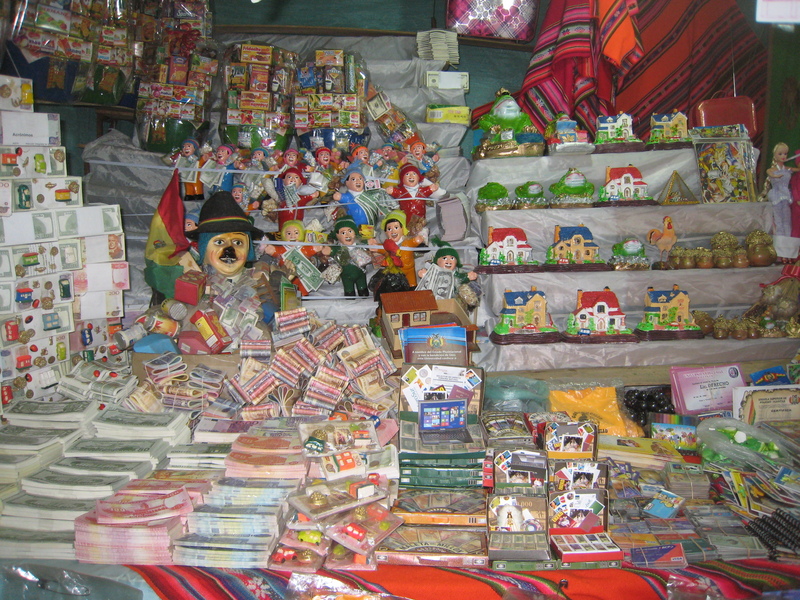 The variety of objects on offer is remarkable, but by far the most popular item is the tiny replica currency – Bolivianos and dollars – to ensure a prosperous year. 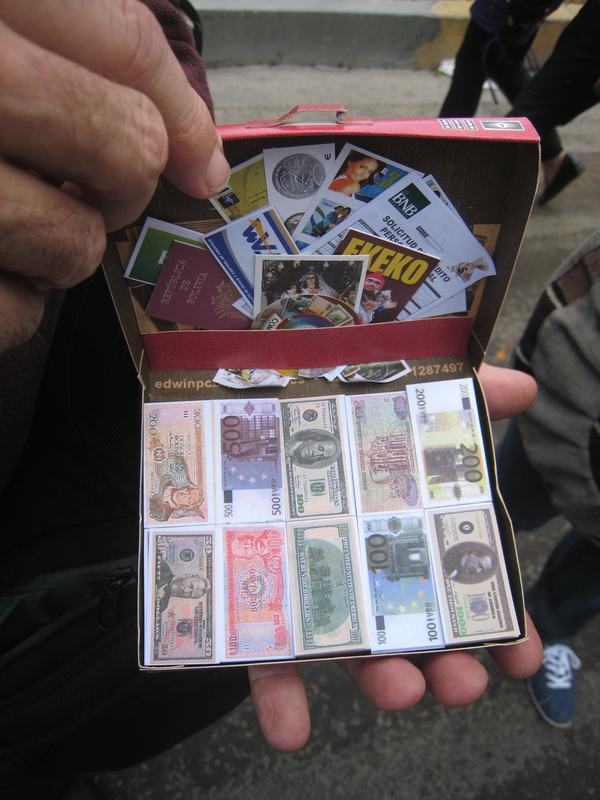 Merchants wave wads of mini bank notes at the hordes of passers-by, shouting out tantalizing offers such as `un peso para mil dólares americanos!` (1 boliviano for US $1000). 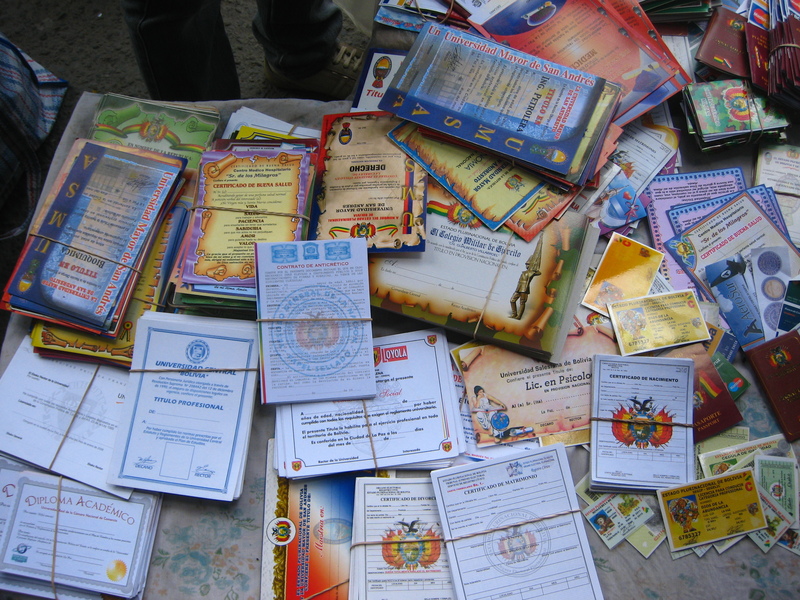 Stalls overflow with miniature handcrafted hens and roosters (for those seeking a romantic partner), replica passports, visas and suitcases for those wishing to travel, toy cars and houses, construction materials and tools, diplomas and job contracts, certificates of marriage, divorce, birth and death(! 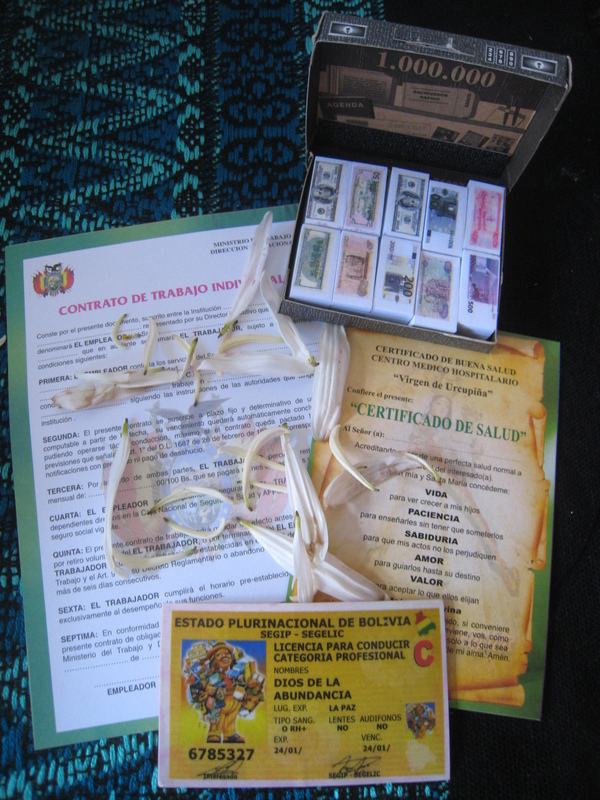 ), and tiny doll`s house sized packages of flour, rice and all manner of food products to ensure an abundance of food in the house.